As several armies converge in Westeros for Game of Thrones’s seventh season, one detail fans spotted on a series of magazine cover photos of the four remaining Stark siblings might be a big ol’ spoiler. A series of Entertainment Weekly covers for one of its June issues feature solo and group shots of the remaining four Stark siblings in full, armored regalia. In each photo featuring Arya, there’s some kind of weapon with a sharp hilt on her left hip. It’s definitely not Needle, which can be seen on her right hip with its round pommel. By all accounts, the weapon seems to be the same Valyrian steel catspaw dagger that Jaime Lannister gave to the nameless assassin hired to kill an incapacitated Bran Stark way back in Season 1. Assuming that the Valyrian blade and Arya’s weapon on the EW cover are one and the same, where did Arya get the catspaw dagger? Last we saw her in Season 6, she slit Walder Frey’s throat with a very different dagger. After tracing the dagger’s journey throughout the book series and show, one eagle-eyed redditor assumed that Arya will somehow either steal the dagger from Littlefinger or kill him before taking it for herself. 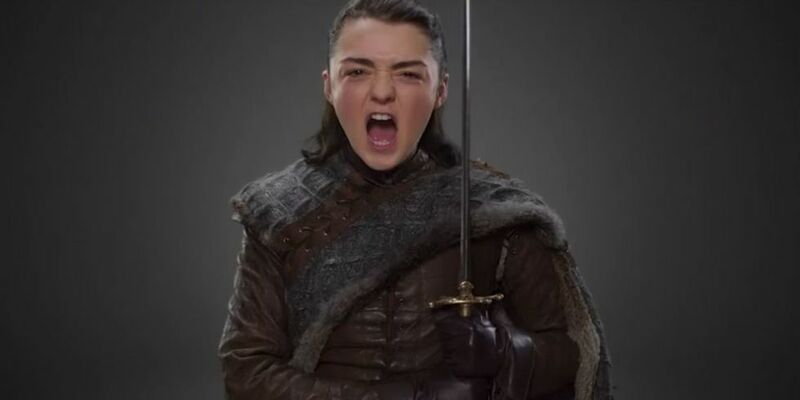 You can clearly see Needle, which means that must be the catspaw dagger on Arya's left hip. Where and when will Arya come to possess that particular dagger? Will Littlefinger give it up willingly? If tensions between Littlefinger and Jon in the latest Season 7 trailer are any indication, Petyr Baelish might be joining Arya’s special list rather soon. He’s on everyone’s list for people that will probably die in this upcoming season. Arya confronting Littlefinger could also explain why she was seen sneaking around indoors in the trailer. One way or another, all men must die — and when they do, somebody else is gonna get their stuff.